What is included in my bus rental? Each bus comes with premium amenities, depending on availability. Options include WiFi, power outlets, on-board restrooms, TV monitors, DVD players, AM/FM radio, air conditioning, and more. Our reservation agents will be happy to help you determine the right amenities for your full-sized bus or minibus. Along with your charter bus rental, you’ll also receive the undivided attention and service of a professional driver. The cost of your bus rental will depend on factors like how far you’re traveling, which city you’re starting from, the number of passengers, availability, and more. We’re available all day, every day to provide you with a custom quote. Call us now at 1-844-755-0510 to speak with our friendly staff. How many hours do I have to rent a motorcoach? The minimum rental period for charter buses and minibuses is 5 hours. Can I request a specific bus model or color? Sure! Some customers request all-white or all-black buses for their weddings or corporate events. We can’t guarantee that your requested color will be available, but we’ll do everything in our power to make it happen. Can I see the bus before my trip? Once your bus is reserved, you may request a picture of your motorcoach. Are food and drinks allowed on the motorcoach? Yes, food and drinks are allowed on most motorcoaches as long as passengers pick up trash and clean up any spills afterward. Most bus providers request that you refrain from bringing glass bottles and messy foods. If trash and messes are left on the bus, you may be charged a $250 cleaning fee. Is alcohol allowed on charter buses? Most of our partners are happy to accommodate groups who wish to drink alcoholic beverages during their trip. However, if anything on the bus becomes soiled or damaged, your group will be responsible for paying a $250 cleaning fee. Please speak to our representatives beforehand if you’re planning to bring alcohol on the bus. Can I play a custom music playlist during the ride? Certainly! Sound systems and AUX plug-ins are available upon request. Please chat with our reservation specialists ahead of time about playing music on the bus so we can accommodate your request. Am I responsible for finding trip routes and parking? 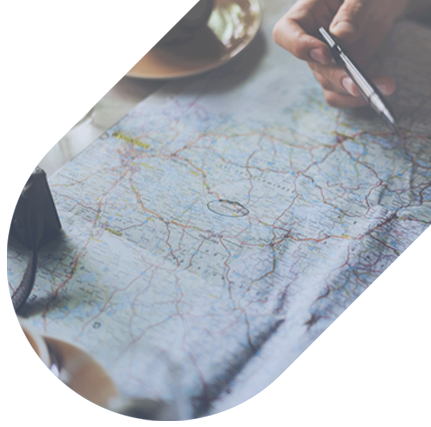 No, our team will plan out the best routes and parking spots for your trip. Tipping your driver isn’t required, but it’s a nice way to thank them for a job well done. Industry standard is 10-15% of your rental cost. Am I required to provide my driver with food, drinks, or lodging? Drivers will handle their own food and drinks (though they’re always grateful to customers who are willing to share!). We ask that you reserve lodging for your driver for overnight trips so that everyone will be at the same location, making pickups and drop-offs a more streamlined process. Once you book your charter bus, you’ll be required to pay 30% of the total cost to hold your reservation. Your trip must be paid in full 30 days before your trip. Any more questions? Give us a call.